Fri May 30 2014 Roots Americana Blues Swing Jazz World All the good stuff ! 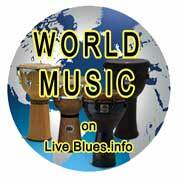 « A LIVE BLUES INFO EXCLUSIVE! GWYN ASHTON – The Aussie Bluesman’s Re-invention! Blacktop Deluxe, the hard hitting, hard rocking nice guys from Cornwall released their new album on 14th May. It is proving to be a hugely popular album with reviews and radio play coming on every day. We took a moment to speak to bandleader Keith Howe the band and find out more about them and what they have been up to. The new album ‘Turn Up, Be Nice, Play Hard’ has just come out; tell us about the background to this album. This is our first ‘Full’ Album (following on from our 5 track Debut EP ‘Dark Horses’) which we self-released last May 2013. All the songs were created in our first 8 months of playing together and we selected these particular tracks to show the diversity of our influences and the way we interpret Blues/Rock Blacktop style. Time spent in the recording studio is always a good time and creative too (we came out with more material than we took in, towards Album No 2 perhaps) and it’s a different world to playing live (i.e. adding Keyboards, Sax, etc.) requiring different techniques and disciplines but it’s always a positive and enriching experience. The opening track Mustang 429 and other things we have seen suggest you have a real passion for Mustang cars, is this right? Being a child of the 50′s I was fortunate enough to grow up listening to some of the coolest music AND with exposure to American Muscle Cars. Who isn’t excited by the car chase in Bullitt and the sound of those engines and for me, Mustangs were always the Iconic ‘Yank Tank’, with the Boss 429 at its pinnacle. Tell us about the writing process that your band follows. Usually it’s a collaborative process where I will bring lyrics and a tune to rehearsal and we will all get involved, arranging it. Occasionally I will inherit some lyrics (from Alan usually) and work on the Music, possibly shaping the words to fit. The great thing about this Band is we’re not precious in any way so creating songs is usually a very positive experience. Who is in the band and what does each member bring to the band? Tim Chapple is our Bass player and brings much needed calm into the usually turbulent world of Blacktop Deluxe. Rock solid and reliable, he lays down the foundation for the Band to build upon. Alan Ibbotson is our Drummer, Harmony Vocalist and hitter of all things percussive. Alan’s eternally creative and utilises his Jazz influences and experience to take the Band in many directions. His playing and singing is a key part of the Band’s spirit and persona. Keith Howe playing Guitar and providing lead vocal. I’ve been a Guitaraholic since I could walk and I hope that my style of playing and singing developed over the years is helping Blacktop Deluxe attain its recognisable, signature sound. What has been your most memorable gig and why? 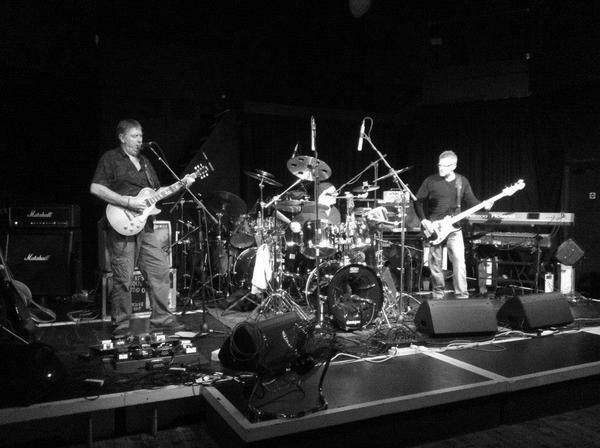 Tavistock Wharf, 7th November 2013, opening for Walter Trout. It was a poignant evening for me as I’ve known Walter quite well for some time now (he’s signed my Strat previously and I’ve been lucky enough to open and jam with him quite a few times before) and I knew he was quite ill and unsure quite what to expect. A big crowd had turned out to see Walter return to The Wharf and we were very fortunate to get a wonderful reaction from them too. This was so nice for me as The Band was only a few months old by then and we were still wearing in our material. Then I saw Walter, who was obviously struggling health wise; perform a wonderful evening with some ‘stand out’ solos before joining him on stage for a jam. Afterwards we had some time together, chatting in the dressing room and trading ‘medical’ stories before he had to go. Great night spent with a great Man, he’s always in my thoughts and we all wish him well, can’t wait to play alongside him again. What do you see the band doing in a year’s time/ five years’ time? Our short term aim is to get our music into some of the Established Blues Clubs and onto the mainstream Festival Circuit. Cornwall’s quite restrictive for playing original Blues/Rock and although we have to travel quite a way to get out of the county, so far it’s always been worth it. In Five Years’ time I would like to think our music has continued to grow with at least another couple of albums out in the world. We should also be frequently on the lips of most promoters and booking agents of reputable venues with at least a couple of successful tours of Europe under our belt too. And who knows, even a label might have taken some interest in these ‘Poor Boys’? CD (if you’re not allowing me Vinyl) I need the artwork, lyrics and something tangible to hold whilst I listen. New blues or traditional blues? ANY Blues as long as it’s played from the Heart. Drama, I’m a sucker for creativity.